The Food Truck Festivals of New England gear up in a few weeks with food truck rallies going on all summer through the fall. You can see the full Food Truck Festivals of New England schedule here. If you can't wait to get your food truck fix, the folks at Sowa Open Market have the solution. 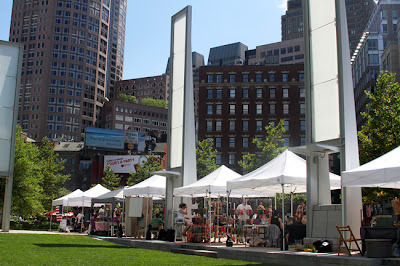 In case you don't know, SoWa has been running farmer's markets in Boston since 2003. SoWa is short for "South of Washington," the neighborhood where the market is located; it's kind of like Boston's answer to NoHo. Every weekend, dozens of artists and crafters, plus a bunch of local farmers have a huge outdoor market. Food trucks are a big part of the market too. 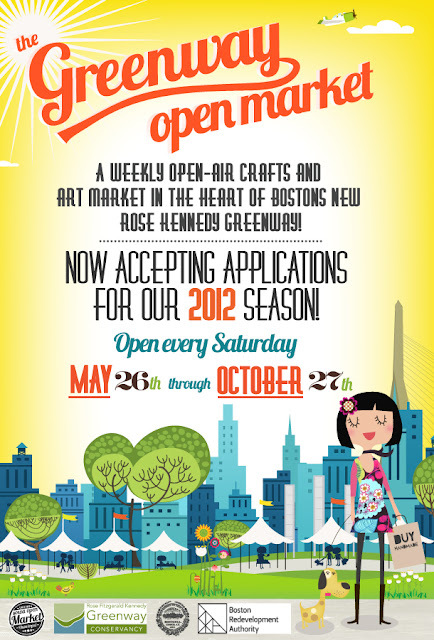 SoWa has decided to take their show on the road. They aren't going all over the state, just across town to the Rose Kennedy Greenway. Every Saturday, from Memorial Day through the end of October, the SoWa Market experience will become The Greenway Open Market. Each weekend, you can browse the arts and crafters and munch on food truck fare.